100% Unblended, Antioxidant Rich, Coratina Extra Virgin Olive Oil from Southern Italy. Our 2014 vintage bottles contain 750ml of 100% Coratina EVOO. Grown, harvested, and milled under the maestros watchful eye in Puglia, Italy. Made Simply. Whether you plan a fine dining experience or just a casual al fresco summer gathering, 23 is the perfect complement. Check out some our favorite summer dining dishes here. Follow our journey on instagram. From tree to bottle to your table. Even though extra virgin olive oil is something we are all familiar with and have had lots of exposure to in our lives, we were amazed through our own education that unfortunately the good stuff rarely makes it to our tables. Our mission is to connect the independent family farmer in Puglia with the American family table. We bypass the traditional oil distribution system, which inflates price and sacrifices quality, by partnering with the small independent farm. We offer direct access to the highest quality, unrefined, antioxidant-packed olive oil by handling it every step of the way. Producers have a fundamental choice to make about extraction temperature. Generally lower temperatures yield higher quality oil while higher temperatures produce more oil but sacrifice its quality. In order to obtain the optimal Coratina Extra Virgin Olive Oil, with a balanced fruity, bitter, and spicy sensory profile, we believe that Coratina olives should be milled at a temperature of 23°C. This belief defines our brand. 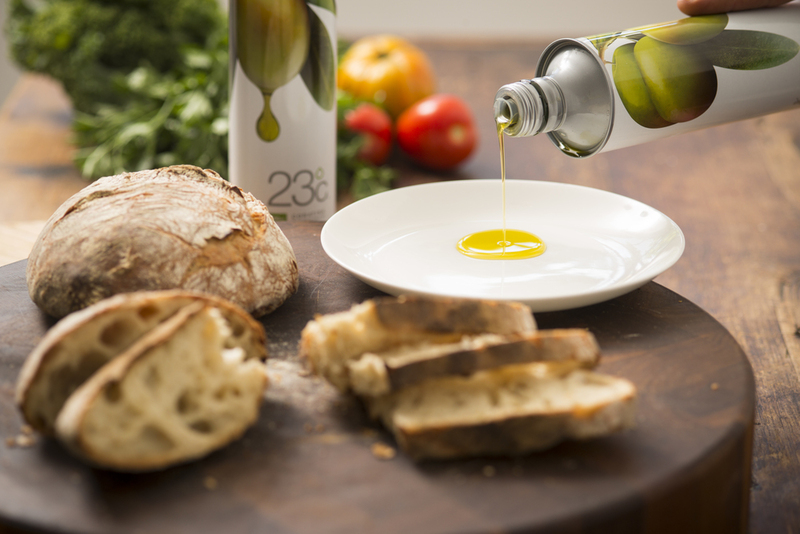 At 23° we value honesty and transparency which is why we proudly disclose the exact extraction temperature of our Extra Virgin Olive Oil, as well as the origin of our olives and full chemical and nutritional analysis.